So yes, I did some shopping AGAIN, but most of this things were quite affordable... except for MAC, of course. Si, bueno, compre un par de cosas de nuevo, pero casi todo es bastante accesible... excepto por MAC, claro. I was looking for a nice not-smudging eyeliner and the MAC salesman recomended this one. I've been using it and while I don't hate it, I don't think is non smudging at all. The consistency is really creamy, which many people might love, but I like strong gel liners that make a nice black line on the first try. this one is kinda disapointing. Estaba en búsqueda de un buen delineador que no se embarre y el vendedor de MAC me recomendó este. Lo estuve usando bastante y si bien no lo odio, no creo que sea no embarrante. La consistencia es bastante cremosa que a muchos les puede gustar, pero a mi me gustan mis delineadores en gel fuertes y que hagan una buena y concisa linea negra en el primer intento. Este es bastante decepcionante. I got this duo as a gift at work, at first I didn't really like it because I'm not much of a blue eyeshadow kinda gal, but when I tried it at home I fell inlove with it. The blue is quite pigmented, but it blends out into more of a grey shade and both shades are not too shimmery, which makes them easy to wear. Me regalaron este duo en el trabajo, al principio no me gustaba porque no soy de usar mucho sombras azules, pero cuando lo probé, me enamoré de el. El azul es bastante pigmentado, pero queda más bien como un gris y ninguno de los tonos son demasiado brillosos, lo que los hace faciles de usar. Both of these are from a local drugstore which has its own line of makeup, which means they are really affordable. I can say, with out a doubt, this are in my top 10 favourite products of 2013. First of all, they are super pigmented and matte, and dispite this, they don't dry out your lips. Second, they last ALL day, I can't stress this enough, I've eaten, drunk and talked all night and this wouldn't budge! This are better than the Rimmel's apocalips, and Revlon's liquid lipstick and L'oreal caresse and any other lip laquer you can think of. If you are from Argentina, or if you come to Argentina, you need to try these! Primero que nada, son super pigmentados y matte, y a pesar de eso, no son nada secos en los labios. Segundo, duran todo el día, no puedo remarcarlo lo suficiente, TODO EL DÍA! comí, tomé hablé y ni se movieron! Son mejores que los apocalips de Rimmel, que los labiales líquidos de Revlon y que los caresse de L'oreal y que cualquier otra laca de labios que puedan pensar. Si son de Argentina o si vienen a Argentina, necesitan probarlos! From the same brand I got one of their lip crayons, this shade is Love Pink and while I know it looks red, I really does come out pink on the lips. 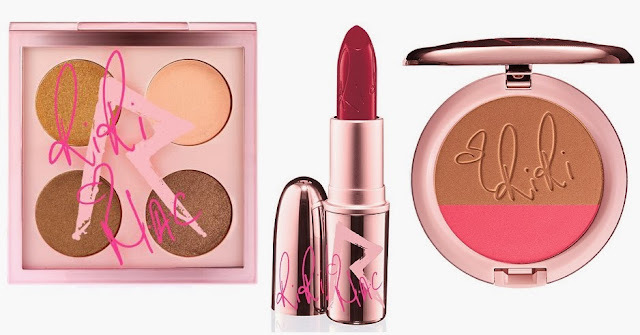 Last but not least, Today I'm going to the launch of RiRi hearts MAC in a Buenos Aires shopping mall so i took a look at the collection and I picked the three things I want. O chose: Her cocoa quad, RiRi woo lipstick (retro matte) and hibiscus blusher and bronzer. Por último, hoy voy a la presentación de RiRi hearts MAC en un shopping de Buenos Aires y chusmee la colección y estos son los tres productos que quiero. Her cocoa cuarteto de sombras, labial retro matte RiRi woo y Hibiscus rubor y bronzer. I've heard a lot of good opinions about Mac eyeliner and alsoo Riri collection looks impressive!! What brush to you use for the eyeliner - I have issues getting it on right! I use models own angled brush, it's really soft and great for wing eyeliner. Otherwise you can use any fine time eyeliner brush. love this post! that mascara looks amazing! just started following your blog :D maybe you could check out mine? Those matte liquid lipsticks look amazing! I have been wanting to try the mascara for ages. I love the Bad Girl Riri collection, the lipstick is my favourite! Hey Laura, I have the same MAC gel liner and I love it. It took me a bit of time to get used to using it, but its so well lasting! Cute blog! 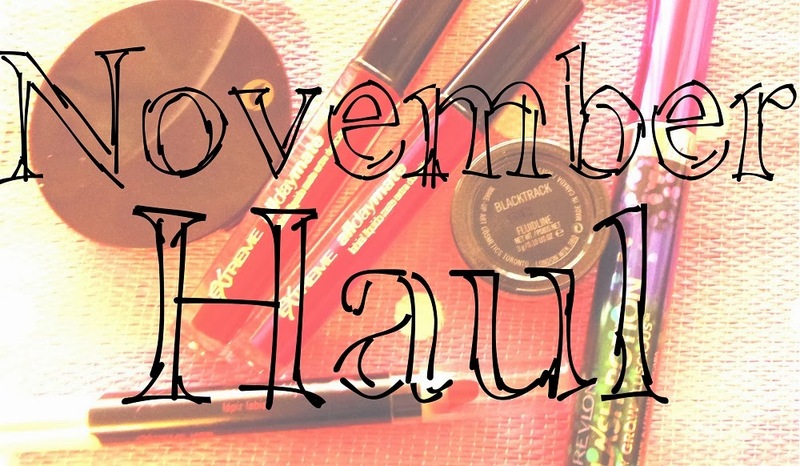 So jel that you have the mac gel liner, wanted it for like, ages! Love your blog!!!! follow for follow in GFC? ?